A friend is someone who sneaks around in the kitchen late on a Sunday and makes a celebration even though her housemate has been sick and in bed and disgruntled all day and is sleeping even though she knows a party was planned. 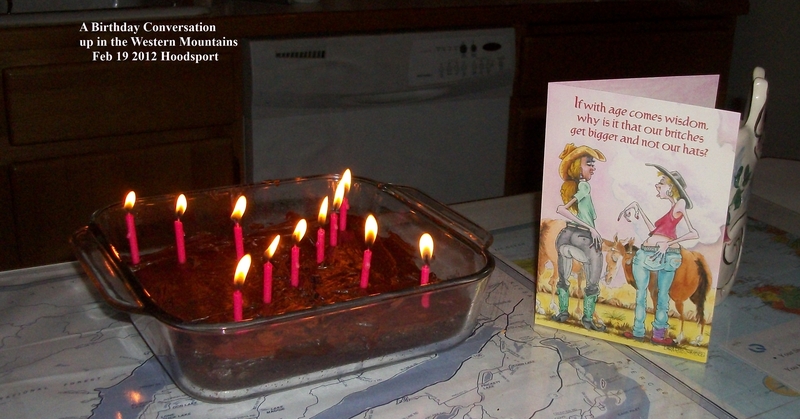 A friend does it anyway, and leaves a nice envelope near the cake so that the sickie gets up and sees it: it says: “Happy Birthday to our Beautiful HouseMate Susan. We’re so happy you came into our life(s) ! !